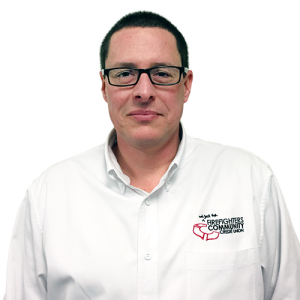 Ben Laurendeau has been employed in the credit union industry since 1987 in a variety of positions. 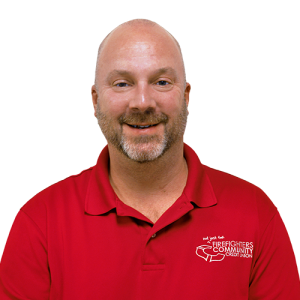 Ben has held the position of President/CEO with Firefighters Community Credit Union since January of 2005. 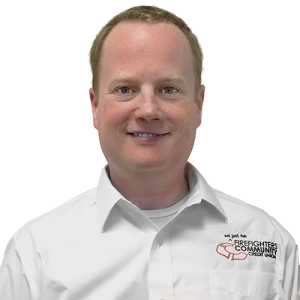 Ben holds an Associate Degree in Accounting from Terra Community College, A Bachelor Degree in Accounting from Tiffin University and a Master of Business Administration Degree from Baldwin Wallace University. Ben serves as a Director on the Ohio Credit Union League Services Corporation Board and serves on the Ohio Credit Union League Audit Committee. John Carrick is the Chief Financial Officer of Firefighters Community Credit Union in Cleveland, Ohio. John was hired by Greater Cleveland Firefighters Credit Union (former name of Firefighters Community Credit Union) as an Accounting Assistant in February 1993, was promoted to acting CFO in 1995, and was awarded the position of CFO in 1996. John has assisted in the acquisition of multiple mergers for Firefighters Community Credit Union and has managed two different Merging Credit Unions during the merger process. John is a former member of the Audit Committee of the Cleveland Chapter of the Ohio Credit Union League. John holds a Bachelor of Business Administration degree from Cleveland State University. Kathleen Riggs joined FFCCU as Chief Retail Officer in July 2013, and has been in the financial services industry for over 25 years holding a variety of positions. 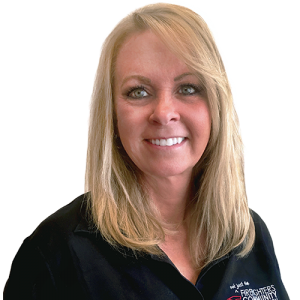 Kathleen received her bachelors degree in psychology from Kent State University and is a certified trainer of CUNA’s Creating Member Loyalty program. 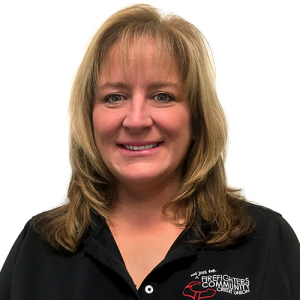 Lyn Ruggeri is the Chief Operations Officer of Firefighters Community Credit Union in Cleveland, Ohio. Lyn was hired by Greater Cleveland Firefighters Credit Union (former name of Firefighters Community Credit Union) in August of 1986 holding various positions, including Loan Officer and Office Manager. Lyn was promoted to COO in 1995. Alyssa Garcia Evanoff joined Firefighters Community Credit Union as the Chief Marketing Officer in February 2019. Alyssa has 17 years of experience in brand management and strategic marketing with a variety of organizations across the Greater Cleveland area. During her career, she has developed successful marketing and creative campaigns that have repositioned brand image and increased brand loyalty through emerging digital trends, content marketing and user experience strategy. Alyssa is a graduate of Miami University and actively involved in the Cleveland chapter of the American Advertising Federation.